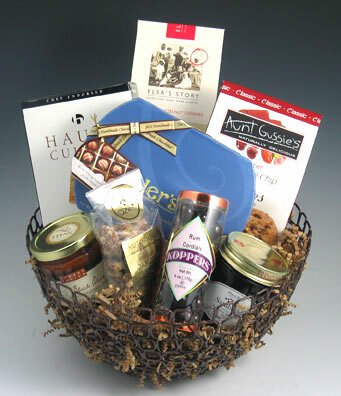 Low-Fat/Heart Healthy…We all share health concerns today and we can design a healthy gift that will be delicious and full of variety. 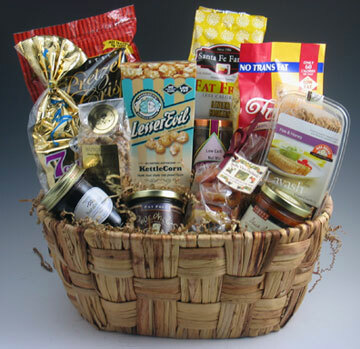 Cookies,candies, popcorn, dried fruits, jams, spreads, crackers, pretzels, mustards …every item is a welcome treat. Just let us know your needs and we will take care of it. 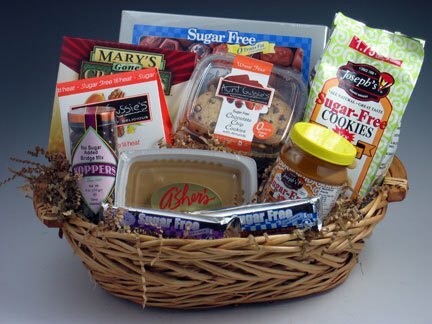 When the need calls for Sugar Free; we have a wonderful selection of tasty sugar free products to send . Josephs and Aunt Gussie’s cookies , Ashers sugar free chocolates and fudge , Assorted sugar free candies, crackers, peanut butter and popcorn. Substitution may be made but we never compromise quality. All substitutions will be of equal or greater value.